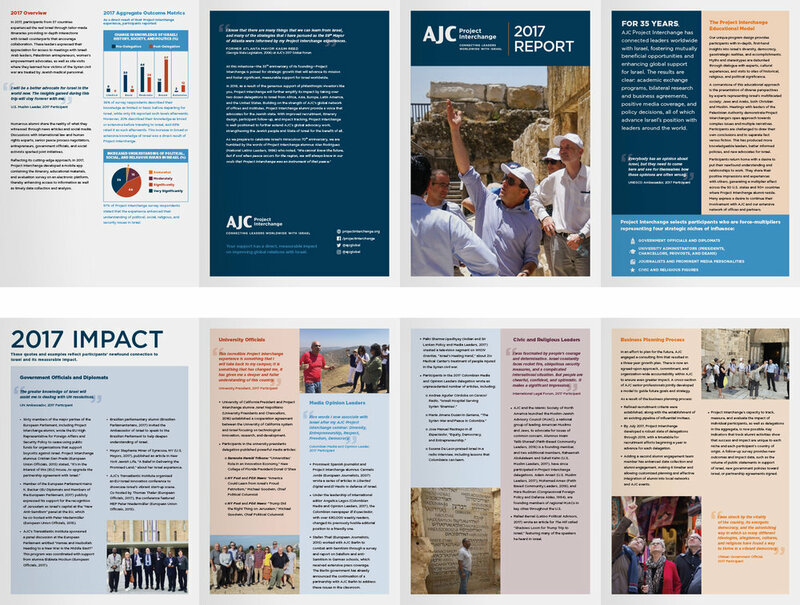 Sample projects from my employment at AJC Global Jewish Advocacy, starting with logo designs. The following are pins that were handed out at AJC’s annual Global Forum in Washington D.C. Each pin represents a graphic for each of AJC’s regional offices. The following are select infographics that were used in end-of-year reports, on social media avenues and other marketing areas. 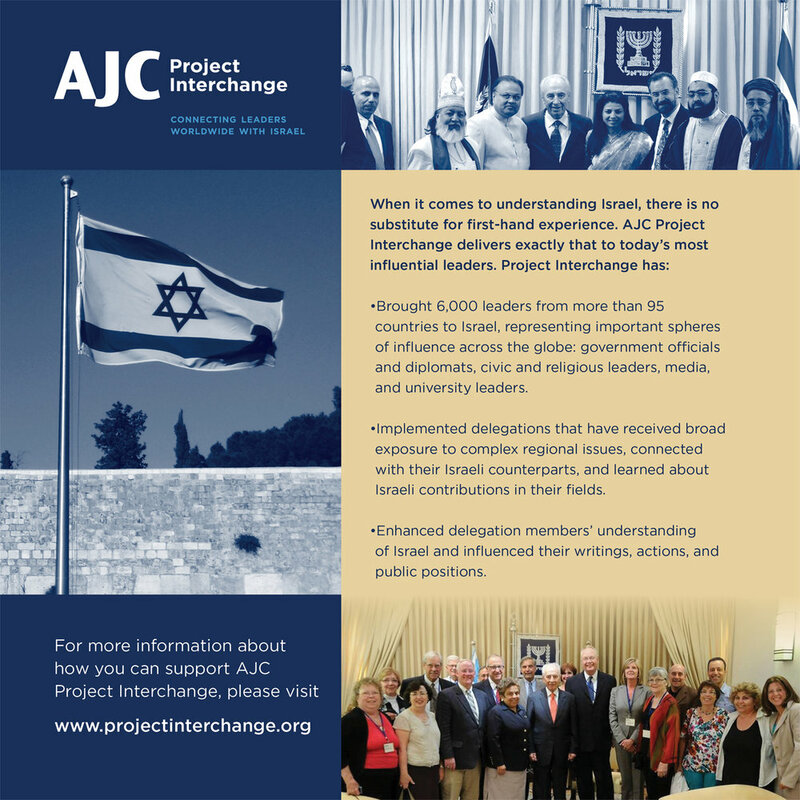 Occasionally AJC’s overseas posts request a graphic be made exclusively for them. This French infographic breaks down ISIS propaganda into a four step process. The four main steps go from decision, to production, to dissemination, and finally, to action. The following are select examples of high-volume pieces.